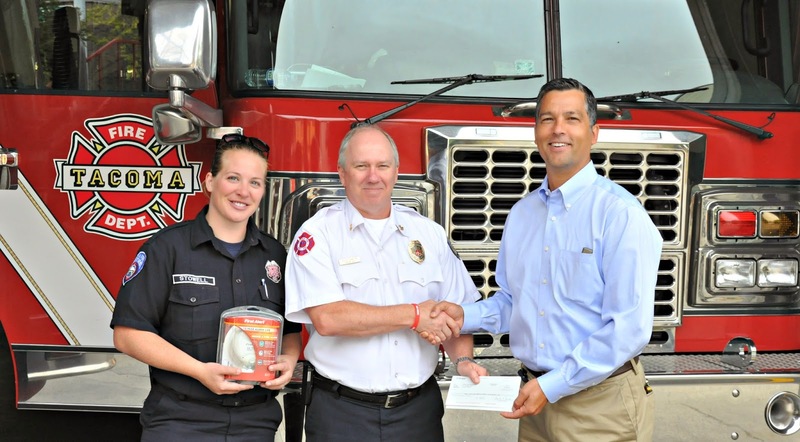 TACOMA, Wash.—The Tacoma Fire Department has received a $3,300 fire prevention grant from FM Global, one of the world’s largest commercial property insurers. 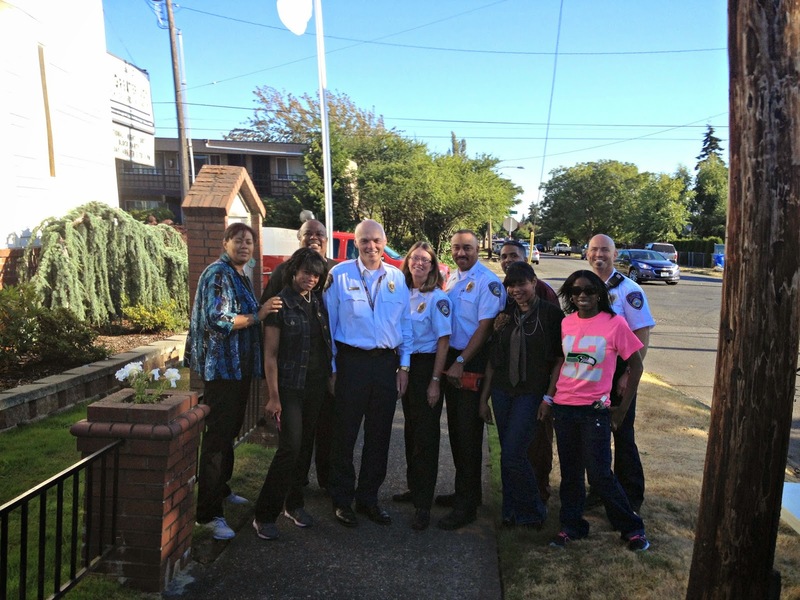 FM Global representatives presented the award to Assistant Chief Roger Edington and Fire and Life Safety Educator Marja Stowell at TFD Station #1 located at 901 Fawcett Ave in Tacoma, Washington. The award will be used to assist with fire prevention activities in the community to help educate the community and reduce the number of fires. Because fire continues to be the leading cause of property damage worldwide, during the past 35 years FM Global has contributed millions of dollars in fire prevention grants to fire service organizations around the globe. Locally, the company has awarded grants to a number of Washington-based organizations. For more than 175 years, many of the world’s largest organizations have turned to FM Global to develop cost-effective property insurance and engineering solutions to protect their business operations from fire, natural disasters and other types of property risk. With clients in more than 130 countries, FM Global ranks #541 among FORTUNE magazine’s largest companies in America and is rated A+ (Superior) by A.M. Best and AA (Very Strong) by Fitch Ratings. The company has been named “Best Property Insurer in the World” by Euromoney magazine, “Best Global Property Insurer” by Global Finance magazine and was voted “Best Commercial Property Insurer” in Business Insurance’s 2010 annual Readers Choice Awards. 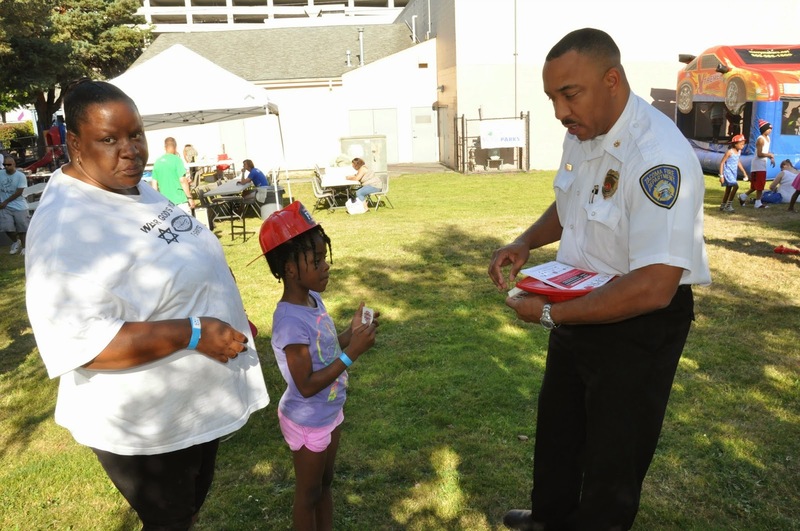 Tacoma Fire Department was honored to be invited to over 50 neighborhood get-together's as a part of the 31st Annual National Night Out. 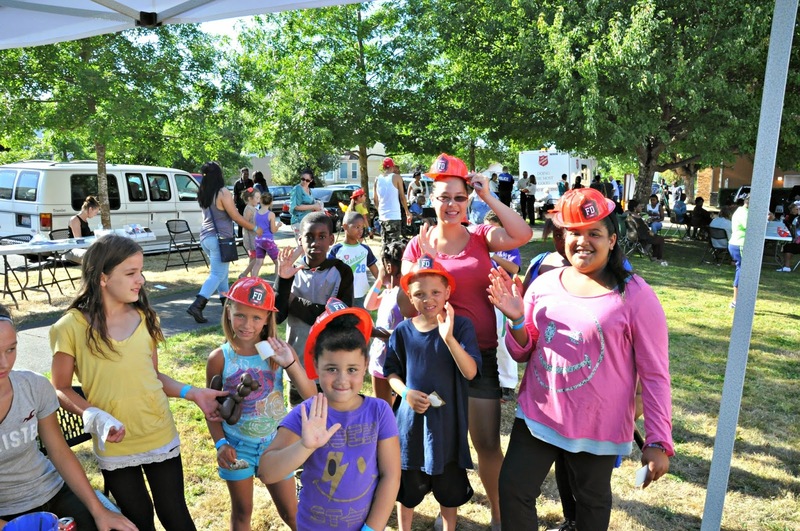 “America’s Night Out Against Crime,” is designed to offer neighbors an opportunity to enjoy each other’s company while building bonds useful in preventing crime and improving safety in their neighborhoods. We were grateful to meet so many of you committed to making our community a safer place to live! Incident Location: 3628 E. "G" St. Narrative: At 1:56 am, firefighters from station 1, 2, 8, 11, and 15 responded to a reported garage fire. The first arriving company found heavy smoke and flames showing from a detached garage and nearby outbuilding. Crews used attack lines to fight the fire and protect an adjacent exposure garage. There were no injuries to report. The cause of the fire was determined to be suspicious, resulting in an estimated $100,000 dollars damage to the building's and their contents. Narrative: At 5:32 pm, a single engine company was dispatched for a reported grass/brush fire. The first arriving company found a large fast moving fire working its way through blackberry bushes, various vehicles, tires and out buildings. The crews quickly upgraded the incident to bring more resources to the scene and once a permanent water supply was established, multiple crews began to attack the fire. Boosted by the hot temperatures and a steady breeze, the fire consumed approximately 4-5 acres and took about four hours to bring under control. Most notably was a substantial pile of tires that burned for hours, causing a large heavy dark smoke plume to rise from the scene. One patient, who attempted to battle the fire, was transported from the scene in stable condition for precautionary measures. Preliminary indications are that the possible cause of the fire was related to a cutting torch being used to dismantle a vehicle. The fire caused an estimated $100,000 damage.